I think I've discovered my favorite finish of nail polish. I absolutely am in love with glittery holographics. You know the ones made by indies that are holographic, but have either added glitters or flakies into them that make them super duper unicorn magical? Those are to die for beautiful. 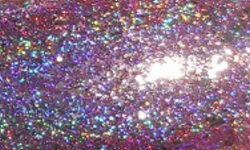 It's taking two of my favorite things holo and glittery sparkle and merging them into one. This was a fairly new concept to me that was introduced to me in Spring by ILNP with 2 of her polishes in her spring collection. I have one of those to show you today. 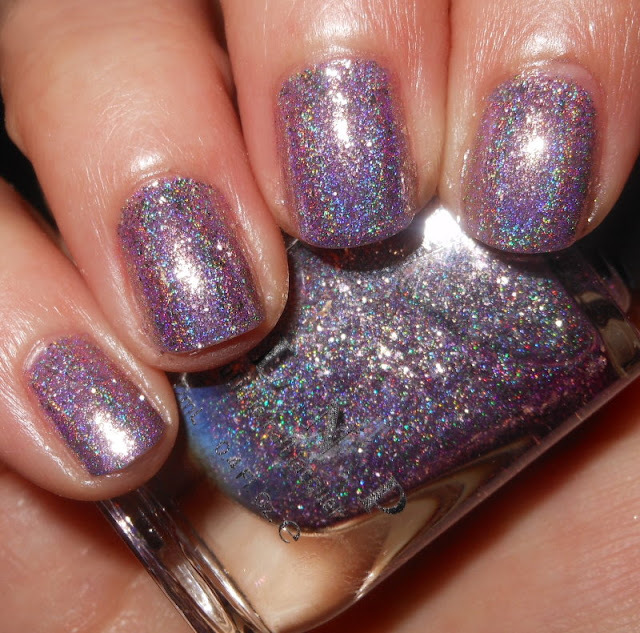 Happily Ever After is a soft lilac holo with silver glittery flakes mixed in. Color: See what I mean? Those silver flakes elevate the bling factor in the already awesome holo! This color is beautiful. It's soft and delicate, but it has amazing sparkle. Formula: Excellent easy to use formula. I used 3 coats here. Overall: This is one of those nail polishes I'm just not sure what else I can really say about it. The image speaks for itself. This is a stunning nail polish. I love the holo sparkle. I love everything about it.